Moving on from cool toilets in a Saturday of fun, friends and birthday celebrations–we visited the star location of the day’s outing: Puzzles: Board Game Lounge. If you’ve read my last post, you’ll remember I said Puzzles is one place you can’t miss when you go to BF Homes. You might actually want to go to BF Homes just to visit Puzzles. 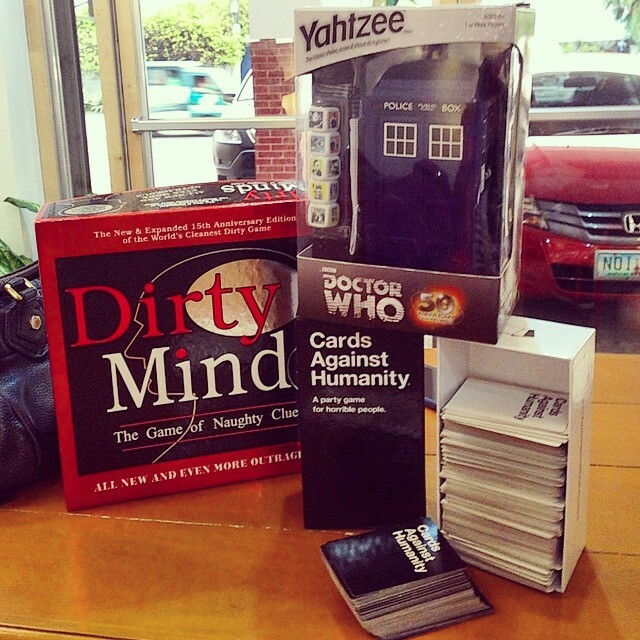 Puzzles: Board Game Lounge gives exactly what it says–a lounge-ful of quality board games and puzzles for friends and family to enjoy. 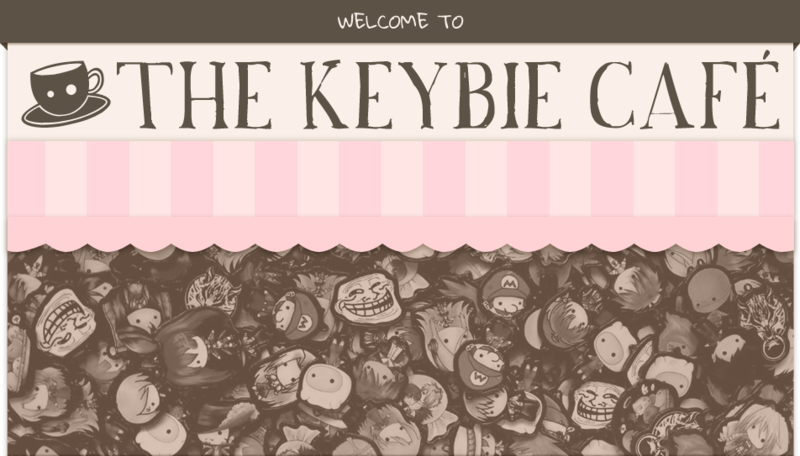 Remember how I say that the Keybie Cafe isn’t just about cute things? It’s also about delicious desserts, coffee–and good times. In cafes. Because hey, I think we can have a little theme going on here. Two Saturdays ago, I went out with a little group of friends (together since high school!) to celebrate a few birthdays within said group. Apart from good company and a yummy Japanese lunch, we got to enjoy tasty-licious coffee and dessert at one cozy cafe, and ridiculously fun boardgames in a quirky fun cafe–all in BF Homes! Cozy and cool–Magnum Opus serves a mean cup of coffee. If you prefer your coffee chilled, it’s a mean glass. Of coffee. Our group ordered the Chilled Belgian Heartbreak, the Chilled Belgian Heartbreak taken dirty, and the Flat White. I actually ordered the Flat White and felt a little outclassed by the bittersweet heartbreaks, but my hot cupful was silky smooth and creamy, just like the friendly barista promised. I’m not even a fan of espresso, but this was gewd–and it perked me up. Plus plus! What goes well with coffee? Dessert. What did we have? NY Cheesecake. Simple, no-nonsense cheesecake. It was such a nice combo of salty sweet and creamy that only friendship stopped me from finishing a piece. See my fork shyly trying to take a bite that’s nice and tiny? Magnum Opus has great coffee, great desserts–and a great bathroom. You can’t visit the cafe and not notice the bathroom. Unless you’re not a Doctor Who fan. It even inspired a puntastic conversation online about time travel and toilets. Moving on from cool toilets–we visited the star location of the day’s outing: Puzzles: Board Game Lounge! Click this image to learn why Puzzles: Board Game Lounge is one place you can’t miss when you go to BF Homes in part two of this post. Or why you might want to go to BF Homes just to visit.